100% Cacao Source - Santa Barbara Chocolate. 100% Raw Cacao - Responsible Cacao - Premium Equatorial Rainforest Friendly Cocoa Beans - Ethical Trade Cacao. Powerful Source of Antioxidants - Studies show that 100% unsweetened cacao contains more antioxidant activity, polyphenols and flavanols than blueberries or acai berries! ORAC is an abbreviation for Oxygen Radical Absorbance Capacity (developed by the National Institutes of Health). The higher, the better. The ORAC value of 100% unsweetened cacao is rated very high, close to 100,000 µmol TE/100g! Reduces Risk of Heart Failure - Studies have also shown a link between cacao and cardiovascular health, with reduced risk of blood clots, strokes, and heart attacks. Improves Blood Flow & Lowers Blood Pressure - The bioactive compounds in cacao can improve blood flow in the arteries and cause a small but statistically significant decrease in blood pressure. 100% Cocoa Butter Source - Bulk Apothecary. Responsible Cocoa - Ethical Producer - West Africa. Anti-Aging - In addition to the above benefits of 100% Cacao, one of the reasons that cocoa butter is so valuable is its high concentration of antioxidant compounds, including oleic acid, palmitic acid, and stearic acid. Although these are technically fatty acids, they are beneficial for the body, and help to neutralize free radicals throughout the body. By reducing the occurrence of oxidative stress, cocoa butter can help reduce the signs of aging, boost overall skin health, and improve memory, mood, and boost immunity. Almond Butter Source - Once Again. Fair Trade and Fair Labor Certified. Almond Slices Source - Jiva Organics. Organic, vegan, vegetarian, cruelty free, biodegradable and fair trade almonds. Almond Oil Source - Bulk Apothecary. Ethical Producer - Cold pressed almonds from the mediterranean. Almond butter offers cardiovascular benefits because of its fiber and fat content. Fat contained in Almond is made up primarily of mono-unsaturated fatty acids. These fats improve your blood cholesterol levels to combat cardiovascular disease, and also provide high energy. Fiber also benefits your cholesterol levels and can reduce coronary heart disease risk by up to one-third. Vitamin E supports health communication between cells, and prevents blood lipid oxidation, which is a process linked to cardiovascular disease. Magnesium contributes to bone health, and helps produce energy and synthesize fatty acids needed for energy storage. Both minerals play a role in brain cell communication and keep your nervous system functional. Calcium aids in muscle function and keeps your skeleton strong. Copper enables you to make melanin, which is a pigment that helps protects your skin from the sun. Hazelnut Butter Source - Jiva Organics. Organic, vegan, vegetarian, cruelty free, biodegradable and fair trade hazelnuts. Hazelnuts are very high in energy and loaded with numerous health-benefiting nutrients that are essential for optimum health. Rich in Folate - Hazels are exceptionally rich in folate, which is a unique feature for the nuts. Folate is an important B-complex vitamin that helps prevent megaloblastic anemia, and most importantly, neural tube defects in the newborn. Good news for the expectant mothers! Creamy - Hazel is used instead of Pretzel in the BITJ to make it completely Gluten free. Apricots Source - Arcade Snacks. 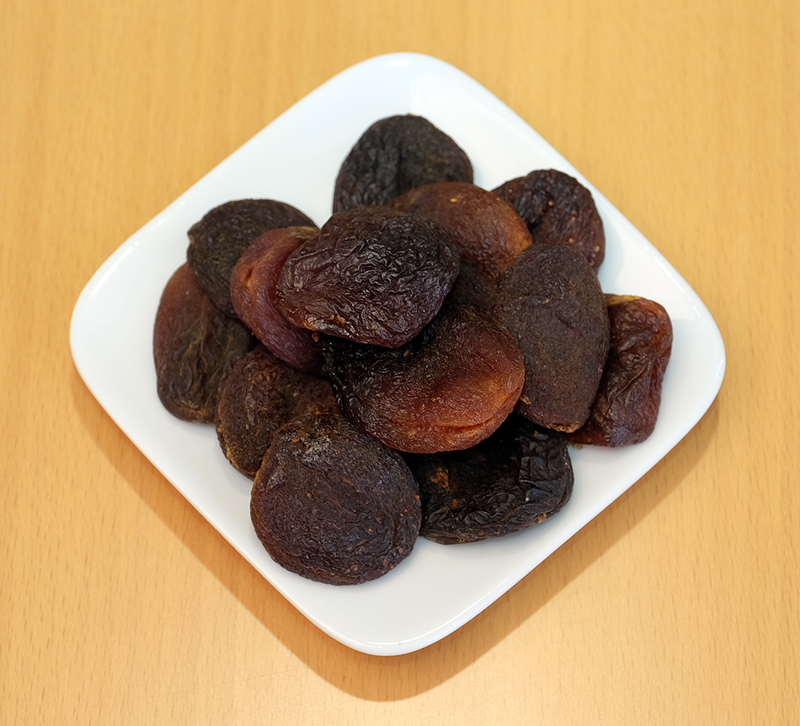 Unsulfured, no sugar added, all natural turkish apricots. Vitamin A and Carotenes - Apricots are excellent sources of vitamin-A, and carotenes. Both of these compounds are known to have antioxidant properties and are essential for vision. Vitamin-A is also required for maintaining healthy mucusa and skin. Consumption of natural fruits rich in carotenes helps protect the body from lung and oral cavity cancers. Potassium, Iron, Zinc, Manganese - Excellent source of minerals such as potassium, iron, zinc, calcium and manganese. Potassium is a heart-healthy mineral - an important component of cell and body fluids that help regulate heart rate and blood pressure. Honey Source - Sleeping Bear Farms. Real Raw Honey, natural, uncooked, unfiltered, unadulterated granulated state. Anti-viral, anti-bacterial, and anti-fungal properties - Raw honey promotes body and digestive health, contains Popolis and a blend of vitamins, minerals, enzymes, antioxidants, and phytonutrients that strengthen the immune system, and eliminate allergies. Energy Boosting - If you’re looking for a quick energy boost, such as before or after a workout, honey can suffice. This is particularly true for athletes looking for a “time-released fuel” to provide energy over a longer duration. Bee Pollen - A super nutritious compound, containing all the nutrients required by the human body. Sesame Source - Kevala Organics. Unhulled raw organic sesames from Mexico. Wellness - Sesame contains several notable health-benefiting nutrients, minerals, antioxidants and vitamins that are essential for wellness. Lowers LDL and increases HDL - The seeds are especially rich in mono-unsaturated fatty acid, oleic acid, which comprises up to 50% fatty acids in them. Oleic acid helps lower LDL or "bad cholesterol" and increases HDL or "good cholesterol" in the blood. Healthy lipids help prevent coronary artery disease, and stroke. Pretzels Source - Unique Pretzels Splits. No sugars, no malts, no artificial flavors, no colors, no preservatives, no trans fat; Just all natural, quality baked goodness. Only Unbleached Wheat Flour, Canola Oil, Salt, Yeast. THE must eat Pretzel - This Pretzel is as simple yet as delicious as it gets! And it is made form only four ingredients; Unbleached Wheat Flour, Canola Oil, Salt, and Yeast. That's it! Eat Straight From The Jar - For those who are used to spread such super ingredients on bread, a cracker, or a pretzel, BITJ comes ready with Pretzel crumbs! Crunchy - Another major benefit of the Pretzel in the Original Flavor Crunchy BITJ is the crunchy texture it provides with every bite.